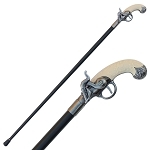 This sword cane is topped with the gun metal in exquisite fashion. The metal shaft is capped with a rubber tip for added traction. 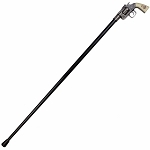 The overall length of this cane is 36.5 Inches. Dragon's Claw with Orb Walking Cane. 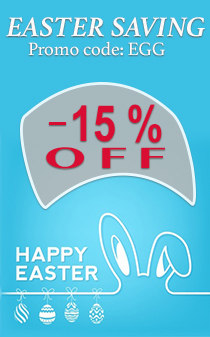 Featuring Mystical, Elegant Dragons Claw and Orb Design. 36 Inches overall in length. 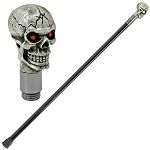 This cane features a screaming alien head with two cyborg mechanical claws coming out the back of his skull.  Overall length is 36 inches. 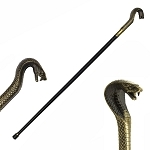 Brazen Serpent Cobra Gentleman's Walking Stick Cane. 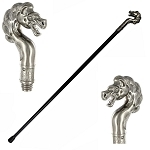 Features a Zinc Handle and Metal Cane with Rubber Tip. The head of this walking stick is solidly built and heavier than most. The cobra features intricate details from scales to green eyes. 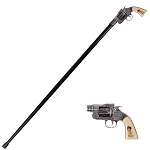 37 Inches Grenade Style Cane Gentleman's Walking Stick with Metal Shaft and Rubber Tip. 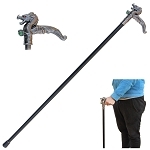 37 Inch Medieval Classic Gentleman's Walking Stick. The Handle features intricate, etched scrollwork. 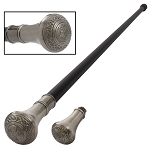 Features a Zinc Handle and Metal Cane with Rubber Tip. 34.5 Inch overall in length. 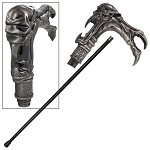 Dark Resurrection Skull Head Walking Stick. 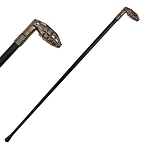 Features Metal Cane with Rubber Tip. 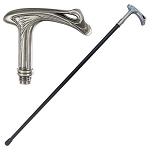 This cane is strictly a fashion accessory for your costuming needs and should not be used as a medical device. 37 Inches Golden Crown Knob Gentleman's Walking Stick. The shaft is constructed of steel. 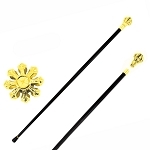 The bottom of this cane features a rubber stopper to help balance and prevent slipping. 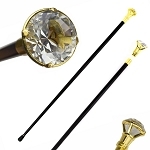 Our Crystal Knob Top Gentleman's Walking Stick has a golden finish aluminum handle with crystal. The shaft is constructed of steel. 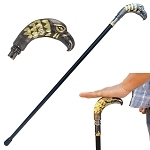 The bottom of this cane features a rubber stopper to help balance and prevent slipping. 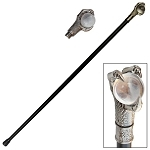 37.5 Inches overall in length European Winged Treasure Dragon Gentleman's Walking Stick. The shaft is stainless steel with a rubber stopped at the tip. This is for balance and to prevent slippage. 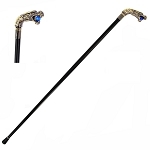 Bring some vibrance to your lifestyle with our exceptional and highly durable walking canes. 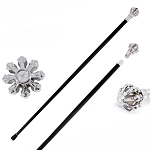 Our elegantly designed and chic walking canes allow you to be the highly classy gentleman and your own defender that you always wanted to be. At Knives Deal, we stock one of the best variety of walking sticks and you are free to choose from them according to your own style and preference. 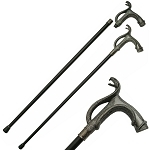 These walking sticks will facilitate you in walking and can also be used as a self defense tool when you find such need. 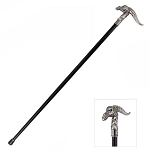 We are proud to say that our immense collection of walking canes is bound to suit the tastes and desires of everyone. We invite you to browse our collection of the most impressive walking canes and choose your type of walking cane to be your companion and compliment your style. Knives Deal is the online retailer of one of the widest and beautifully designed walking sticks available at the lowest possible rates. 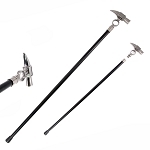 Our walking canes are made up of top notch materials and are that strong that you can use them for hiking purposes as well. The designs are simply breathtaking and have a class of their own. 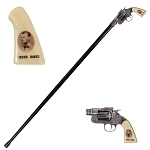 A few of our most popular walking sticks are Majestic Golden Eagle Walking Cane, Classical Fatal Glance Basilisk Walking Cane, Dragon’s Claw with Orb Walking Cane, Brazen Serpent Cobra Gentleman's Walking Stick Cane, Dark Resurrection Skull Head Walking Stick and Billy the Kid Revolver Gun Handle Gentleman's Walking Stick. We at Knives Deal, believe in 100% customer satisfaction and that is why we only provide top-notch products to our customers at the most reasonable rates and that is what has kept us in business for more than 13 years. 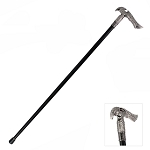 So, if you want to get your hands on one of the best walking canes, then browse our collection and make your purchase now at very affordable rates. And if you want to be extra defensive, then you can always have your pick from our wide variety of superb and fully functional sword canes.